Ottiu designed the Lupino Armchair in honour of Hollywood legend, Ida Lupino. A talented woman both in front and behind the camera, Lupino worked as a director, screenwriter and actress during the 1950s — the only woman working within Hollywood at this time to do so. Inspired by her strength and elegance, the Lupino Armchair has a contemporary mid-century modern style with a feminine form. Handcrafted by skilled artisans, the curved backrest and deep seat are supported by solid walnut legs with brass accents. 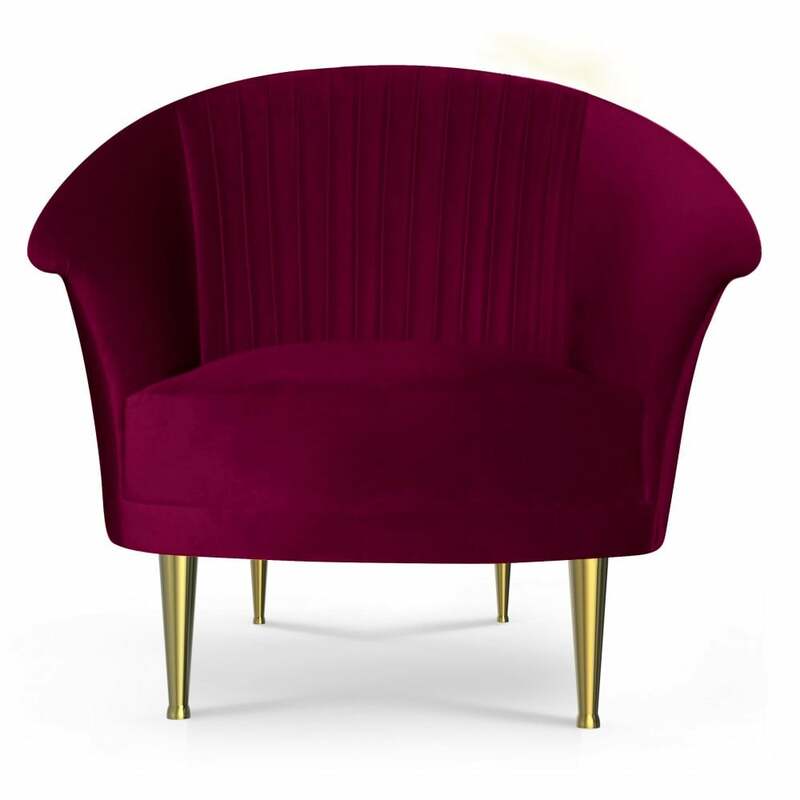 Upholstered in the finest cotton velvet, the Lupino armchair will bring a pop of colour and retro sophistication to any modern living space. Part of the Century Collection by Ottiu, get in touch to discuss a selection of finish options. Priced for Upholstery: Ottiu Fabric. Structure: Pinewood, polished brass legs. Details: Pleats.